A reliable source for Centrifugal Pumps information and a resource for accessing leading Centrifugal Pumps and suppliers. Centrifugal Pumps Centrifugal pumps are unique and important members of the industrial world. The purpose of a centrifugal pump is to move fluid in a controllable fashion by engaging the fluid with strong rotational kinetic energy. A.R. 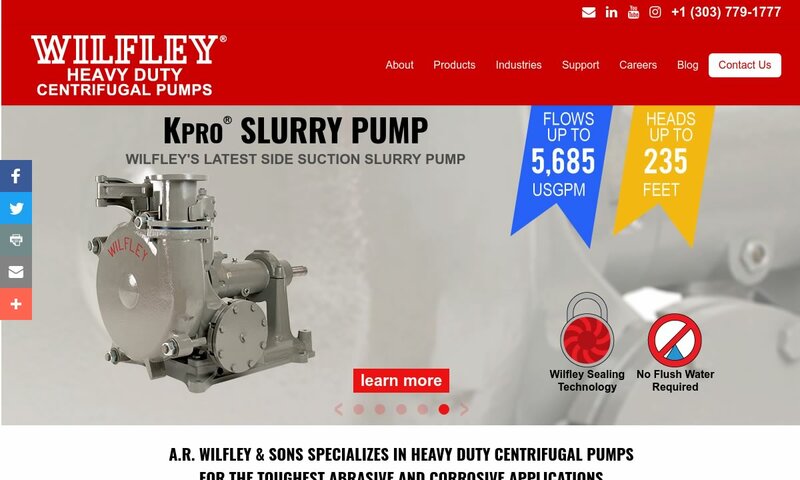 Wilfley & Sons Inc. has been a pump manufacturer for over 85 years. We can provide rugged, quality pumps such as chemical pumps, acid pumps, slurry pumps and centrifugal pumps. Our pumps meet ASME standards, and we can provide selection assistance for your application. 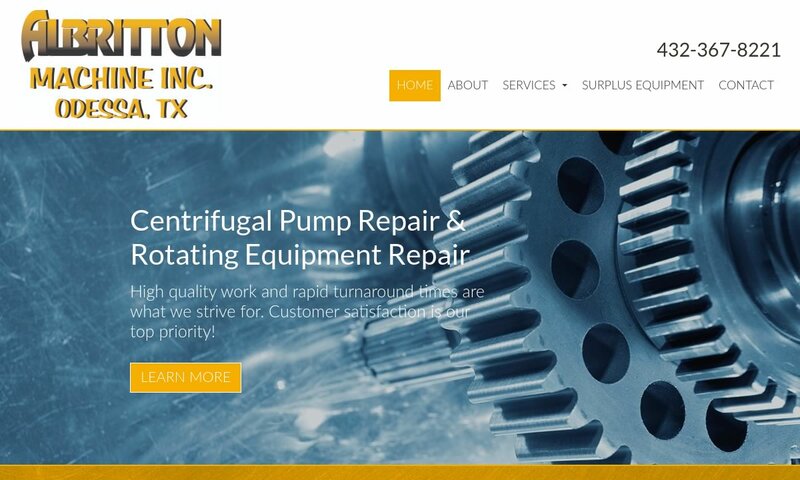 At Albritton Machine, pumps and rotating equipment are our business, and have been since our founding in 1974. We strive to improve the performance and reliability of your centrifugal pumps and rotating equipment in order to maximize your company's productivity. 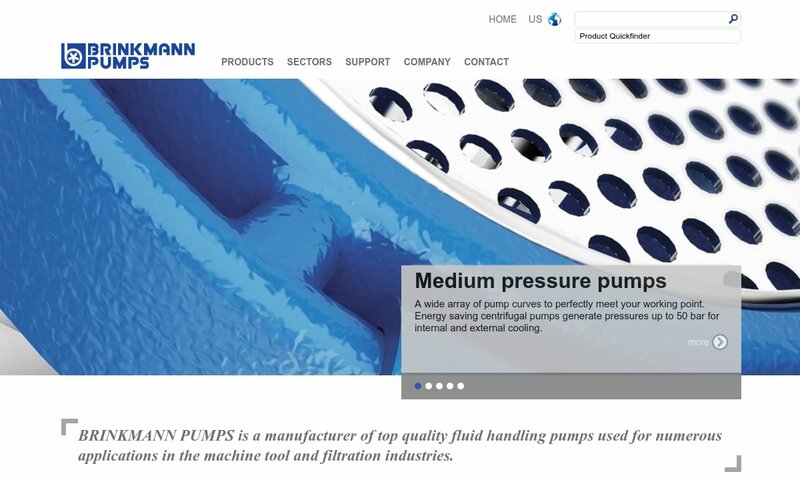 We are the experts of pump technology and we are eager to pass all of our innovations to our customers. Our company is a global supplier of state-of-the-art pumps and all of our products adhere to extensive quality assurance programs. We are your source for cutting edge technology and highly reliable centrifugal pumps. 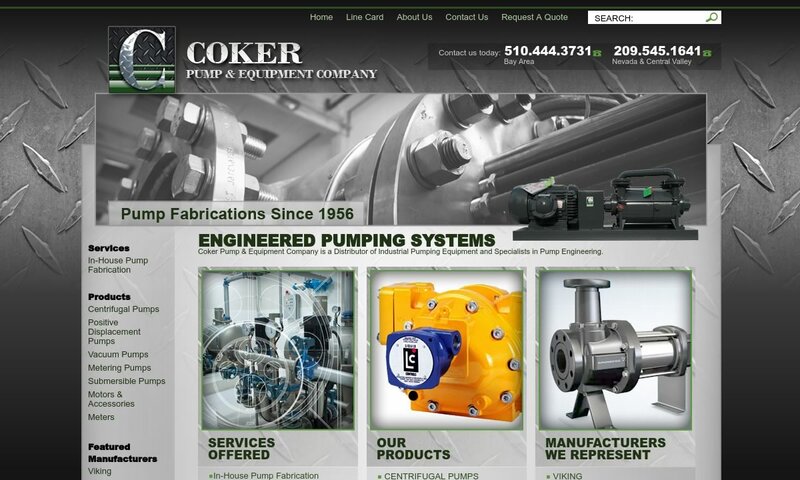 Coker Pump & Equipment Company consists of two facilities which are capable of fabricating engineered pump units in most configurations for food processing, biotech, mining, pulp & paper, waste water, chemical, aggregate, semiconductor and pharmaceutical industries. 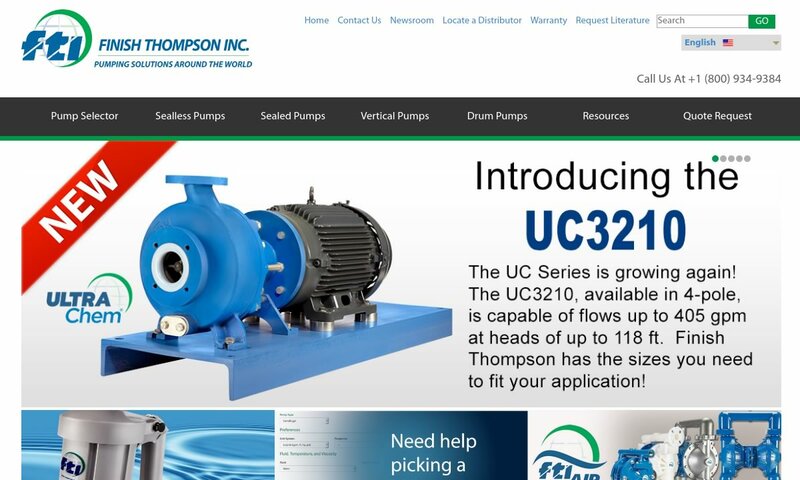 Finish Thompson designs and manufactures centrifugal pumps, stainless steel centrifugal pumps, multistage and vertical centrifugal pumps, filling the needs of many industries.  We are an ISO 9001 certified company. Although centrifugal pumps came into existence near the start of the modern era, they have only recently become widespread in the industrial world. Despite their invention in Europe (during the late seventeenth century) and later migration to the U.S. (in the early nineteenth century), centrifugal pumps were overshadowed for decades by the use of positive displacement machines. The key factor in the adoption of centrifugal pumps occurred in the earlier part of the twentieth century with the development of high speed technology (e.g. high speed electric motors, steam turbines, etc.) that made centrifugal pumps a more practical choice than they had previously been. For approximately seventy-five years, centrifugal pumps have been widely used across many different industries in the light of this (relatively recent) technological change. Most centrifugal pumps are built with cast iron or other metals like aluminum. These types of materials are used because they can withstand harsh chemicals and conditions that would eventually destroy other materials. The materials used to construct a centrifugal pump plays an important role in its overall efficiency. As centrifugal pumps have increased in popularity, pumping research and development have expanded the range of materials used to construct them. Strong metals with high levels of corrosion resistance are still the material of choice for centrifugal pumps. However, more and more manufacturers now use materials such as fluorocarbons and thermoplastics for seals and other various pump parts. Although centrifugal pumps are highly useful and vary widely in type, they are characterized by a remarkable degree of simplicity in their basic design. The three basic components of a centrifugal pump are the impeller, the casing (usually a volute), and the pumping unit (or mechanical assembly). The impeller is the “signature” feature of the centrifugal pump since it is responsible for producing rotary energy and velocity. The center of the impeller is also known as its eye or hub. The impeller possesses at least one or multiple vanes which extend outward from its center. It should be noted that impellers can vary widely in diameter and produce different degrees of rotational speed. The pumping unit (or mechanical assembly) simply refers to the combination of other pump components that enable the impeller to be rotated. Minimally, this section of the overall pump houses an actual pump (which is stationary) along with some type of driver. The impeller is fixed to the rotating shaft of the driver in order to be turned. (While the most common type of driver is an electric motor, other types of drivers such as natural gas engines or steam turbines are sometimes used.) Other components in the pumping unit include bearings to support the driver shaft, sealing mechanisms to prevent fluid leakage, various structural elements designed to help the pump withstand different loads or stresses, and wear surfaces for pump repair. All of the previously described parts are encased in a casing. (Since the most common type of casing is the volute, this term is sometimes used interchangeably with casing.) This casing does far more than simply providing protection for the inner components of the pump. In fact, it is responsible for converting the rotational energy produced by the impeller into a defined liquid flow. The actual operation of a centrifugal pump is also marked by a surprising degree of simplicity. As the shaft within a centrifugal pump rotates, the attached impeller turns with it. At the same time, the pump within the pumping unit directs fluid to the center (or eye) of the spinning impeller. The impeller’s motion transfers a high amount of kinetic energy to the fluid as it enters from the pump. This interaction, in turn, causes the fluid to work through to the tips of the impeller vanes. Eventually, liquid is rapidly discharged from the impeller (at its furthest diameter) and driven to the pump’s casing. As high-velocity liquid from the impeller encounters resistance in the form of the pump casing, its speed gradually reduces and its pressure increases. This pressurized fluid then exits the pump through the discharge ports at the outer perimeter of the volute channels. The design of the impeller within the casing serves to control and produce this discharge. Instead of being centrally aligned within the casing, the impeller is usually situated so that is farthest diameter lies just past the discharge port in the casing channel. This area within the centrifugal point is known as the cutwater. From the cutwater on, the gap between the impeller and casing wall widens all the way to the actual discharge point. This unique geometry enables maximum pressure within the liquid that is discharged from the impeller as it flows along the casing and toward the discharge point. Centrifugal pumps are beneficial for several reasons. • They perform well at delivering raw power. An industrial pump can have a head capacity (see below) of over 500 feet and an impressive flow rate of 40,000 gallons per minute. On the extreme end of the spectrum, centrifugal pumps within the nuclear power industry can deliver over one million gallons per minute! • They are efficient machines capable of producing uniform flows. The efficiency of a pump is defined as its power input divided by its power output and expressed a fraction. The minimum efficiencies for centrifugal pumps (e.g. for small horsepower units) are over 50%. Advanced industrial centrifugal pumps often have efficiencies over 93%. • They are versatile and can be adapted to both solid and liquid mixes. Furthermore, advances in filter design have greatly reduced the occurrences of clogging when working with thick liquids. Like any industrial device, a centrifugal pump has its disadvantages. In particular, these devices cannot perform well under high pressures. Under these conditions, the pump might need to be primed and could even become air bound (meaning that there is too much air in the system to create a vacuum). Once a pump is air bound, no water will be pulled into the pump. Many types of centrifugal pumps exist for different applications. A centrifugal pump can be used to transport liquids or gases such as chemicals, corrosive materials, oil, resin, acid, bleach, and more. Centrifugal pumps are commonly identified by their specific application or by the nature of one of their basic parts. A water pump is used for various water transfer applications. These pumps are versatile, lightweight, and sometimes high pressure if necessary. One of the most common types of water pumps is a sump pump. A sump pump is often used in residential settings to reduce flooding or water accumulation in a low-lying area. The pump may be combined with a pressure tank so that the water can be distributed away from its source. Trash pumps are special centrifugal units designed to pump out large volumes of water at a rapid pace. Rather than pump pure water, trash pumps are used to pump polluted sources like sewage, sludge, and waste water. These materials can be very thick and possess a high degree of viscosity. (Viscosity refers to a fluid’s internal friction and its resistance to flow.) Thus, a trash pump’s impeller is designed with deep veins and a large discharge to create the necessary kinetic energy to move highly viscous liquids. A jet pump is a centrifugal pump that is aided by jets for maximum suction power. 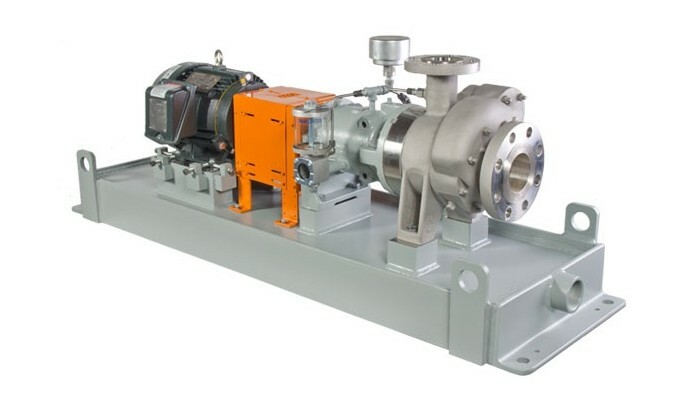 With advances in technology, centrifugal pumps continue to become more powerful and more capable of lifting heavy fluids for applications in some industries. Jet pumps in particular are becoming less popular as submersible pumps become more powerful. Submersible pumps are used underground in a place where water is almost always present. These pumps do not need to remove air from their suction line in order to provide continuous flow. Submersible pumps are designed as compact units where the motor and pump are close together so that the entire device can be lowered into a well hole. These well pumps are typically powered by a nearby electrical source. The self-priming pump models now available on the market make startup time much faster. For applications where easy maintenance, sanitation, and gentle handling are all important, hygienic centrifugal pumps are now being used. A close-coupled end-suction pump is a centrifugal pump that possesses a close-coupled, end-suction pumping unit. It is one of the most common types of centrifugal pumps. In addition to attaching the impeller to the end of the motor shaft, these pumps mount the casing directly onto the motor’s face. The design of a centrifugal pump can be optimized to meet the needs of particular situations. For instance, axial flow pumps are built with a vertical shaft that has an impeller attached to it perpendicularly. The purpose of this design is to push liquids upwards. Clearly, centrifugal pumps are versatile and useful industrial devices. Their usefulness, however, can only be maximized if certain factors are taken into account. Some of the more important factors are briefly described below. • The kinetic energy transferred to a liquid increases with the diameter and speed of a pump’s impeller. Thus, the most straightforward way to modify a pump’s performance is to modify the impeller’s speed or diameter. Of the two options, the latter is more economical and therefore more popular. Sometimes modifications in both impeller speed and diameter are combined to achieve a specific result. • The amount of energy needed to move liquid for a particular application depends not only on the viscosity but also on the amount of liquid that is being moved. One key term in the subject of centrifugal pumps is head, which refers to the theoretical vertical height (in feet or meters) that a liquid exiting a pump’s discharge could achieve. This theoretical measurement is sometimes known as the shut-off head since it represents a point where a pump would produce insufficient energy to move any further liquid. When selecting or using centrifugal pumps, it is wise to assess their performance in terms of head measurements and make modifications to reduce friction within the system as needed. • Suction conditions tend to be overlooked to the regret of pump users. This term refers to the optimal conditions for a pump to perform suction; specifically, it refers to conditions where a pump can successfully create a partial vacuum in order to allow pressure to push liquid up a suction pipe into a pump. (Contrary to popular belief, liquids cannot be “pulled” up vertically since they lack tensile strength.) Suction conditions are particularly important to note in high-altitude applications where a pump’s maximum suction lift (in feet) decreases with increasing altitude. These factors and others like them illustrate the need for advice from a high-quality centrifugal pump supplier or manufacturer. Thus, when looking for such a supplier, do not only consider their range of products, cost effectiveness, etc. Make sure you invest the time to find a supplier with enough expertise and customer-specific aid to get the most out of your centrifugal pump application.